Play a game of online werewolf. Yoda was killed during the night. Last game the gravedigger came out early and meant the village had someone to trust and guide them - we have 2 this game, is it worth them coming forward? Hello, and damn, most people are still inactive. im hulk and no one can kill me !! Ned is the only totally inactive player here? Weird tho, how did no one die? Yeah if wolves didn't bite then it means that wolves are inactive during the night. Ned hasn't been on at all, Magneto has been on but not said anything, Hulk has sad nothing of relevance, Vader has said one thing. No, villager is my favourite role! what do you think the plan should be? it's a silly question, the only response is "villager"
why on earth would you want to call out the seer? Do you want them to be wolf meat? You're basically going "hey wolves, eat Aeris!" Well, you wouldn't be doing a good job of helping me hide if i wanted to! let's not uncover the protector :-?
" i'm hulk and no one can kill me "
to some up, we have 10 players. The first day, Yoda was killed. Since Sackboy is grave digger. we have 8 people unidentified. Vader... you were not that active the last day, and also, you came up today right when we voted for you... that is suspicious to me... can you convince us somehow that you are a villager? what do you mean, aeris? There is not much information in day 2. Tks sackboy. I'm going to go AFK for 10/20 minutes and have a think, it would be nice if Skywalker or Hulk popped up in the mean time. "Yeah at least you should wait for 2nd or 3rd night"
Vader? Can you go to the game loby? yes, I think Aeris is right. "i mean you should at least wait for the 2nd or 3rd night when you've used your role" All I did was quoting Sabretooth. I called for gravediggers to reveal on day one because I knew that would draw fire away from the seer, and I could protect them. Wolverine? Can I ask why you also voted against Sabretooth if you defended him? I was only quoting what he said. But why did you quote him? Yeah I totally agree with that. I understand Sackboy. He acted like you (sackboy) did in the game ext21. "get the votes high, just leave them there, move on"
we have what, 3 hours? which time zone use here? GMT +0? Yeah 4 am at my place. You live in Westcoast? yes. are you in the US too? So I can come back later. Waiting for Hulk, Sabretooth explanation. Sure, just don't forget to check the game before the night phase guys! Lol @[email protected] I mean we balance our votes here, and come back 2 or 3 hours. just cos you two have healing factors, jeez. ok, you have some talking to do, buddy. first, you need catch up our talks. Don't make me regret sticking up for you! how do you know that im not lie? and how do i know that you will trust me or not? Okay, can you decide who you are? I will come back 2 hours later. Pls talk Magneto, Hulk and Skywalker. who do you think the wolves are? No, you didn't say anything straight, you were just like "Oh, I might be a wolf, but I also might be a villager, you can't know"
would sabretooth lead the charge like that? what do you mean? Like, who has the initiative between th two? 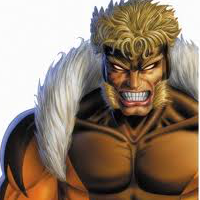 if both were wolves, i think sabretooth would "allow his mind to be changed"
Aeris... help me with this man! So, you still suspect Sabretooth more than Hulk? Yes, but the way you pointed out that I came out too early was somewhat strange... "you're likely to be killed during the first few night you might be killed without using your ability"...."hope that you won't get kill :T"
here's my previous quote " since there will be 50/50 that protector or the seer might get bitten let's not uncover the protector :-? , just the seer only "
Who do you vote for now, Sabretooth? who do you vote for then? 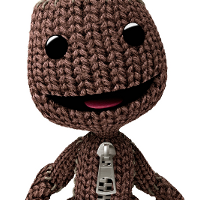 do you honestly think sackboy is a wolf? what happen when i have 2 votes? oh come on are u kidding me..
i have my right !!! what happen sky walker and i have both 3 votes? who might be a wolf? Aeris, are you still there? and special roles do some stuff... what is there not to understand? 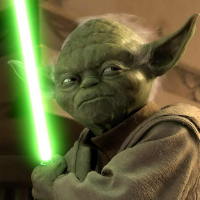 if yoda has been lynched.. in that night. does the wolf catch someone else? i think we should vote for people who said nothing right? hey dont be so mean..
Oh do you? And why? Ned? Are you serious? How can Ned posibly be a wolf and kill anyone when he is inactive? hey wolverine, you know why i said i m talking to sackboy? Hulk, the important thing here is not to prove you are telling the truth or not. The important thing is to find out who are the wolves? Vader, Aeris, Wolverine? What should we do? how do you "know" someone else is a villager? Yeeeah... so you are both the "villagers"
sackboy.. can u think? why i have to protect wolf? Wolverine, do you mind if I ask you to give your thoughts today? "Because you are a wolf yourself" "yes.. vote for me to die and tmr you will find out"
Sackboy was killed during the night. Hello! Sorry everyone for not being here, my internet was very patchy, and when I did get on, it was night. Is anybody on at the moment? the gravediggers are dead, I am protector. Are you the only protector, or is there another one? I'll post once I've finished reading. I've read days one and two, but not three yet. Oh and by the way, have any wolves been killed yet? Have we got a huntsman? Well, first of all I'd just like to say that looking at what time of the day people are active isn't going to be that effective, because of different timezones. I'll list my suspicions after I finish reading, people said a lot during day three! OK, I'm up to date now! Here's what I think: Sabretooth and Wolverine seem a bit suspicious, though at the same time there's nothing really incriminating in what they've said. Skywalker I'm undecided about, as there is little to go on. You (Aeris) I'll trust. Ned has been inactive, so nothing to go on there. And, because of the information I have, I've decided I'll say it now: I'm the seer. I checked Vader during night 2 and Hulk during night 3. They both showed up as werewolves. One of them could be a lycan though. If you (Aeris) protect me, I'll at least survive one night more and be able to give everyone information about one more player, but I'm not sure who I should check. So anyone who sees this, discuss who you think I should check. Who do you think I should check? And who do you think we should try lynching first? Hulk voted Sackboy, claimed to have misclicked and changed to Skywalker. Vader voted Sabretooth, then changed to Skywalker to ensure the votes hung in balance. Personally, I'm still not sure. maybe check wolverine tonight then? Okay, I think that's what I'll do, unless someone turns up with a better idea. Any particular reason, or just because he made the most annoying comments? I'm leaving now, and with the timezone differences, I probably won't show up again until night 4 falls. I read through the comments before deciding who to check though. And thank you for your protection. Checked the chat log and we have found our two wolves: Hulk and Vader, and I am confident to say that they are both wolves! Because they never voted for each other once. If Magneto wants to check me go ahead lol, I would suspect myself if I was another villager, too. Well that is it from me today. If you are going to check me, I hope I am the lycan so that even if I am voted out on Day 5, we would still win. Hi guys, I just read all the story from the beginning of Day 4. Here are what truly happened. I have enough the information after 4 days. Night 1: I checked Magneto. He is the wolf. night 2, I suspected Hulk, then I checked him. He is a villager. As I told you guy about Day 3, I told that the seer just have a few checks to finish his job. And during Day 3, I doubted Sabretooth. Then I checked him at the night. He is a villager. 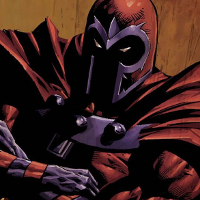 Eliminated Ned, he is not active all the time, and Magneto is the wolf. 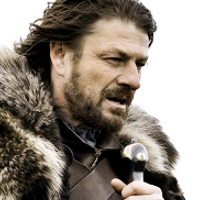 So Ned couldn't be the other wolf. During the Day 2, I was surprised too. However, I'm sure he is the wolf because he tried to claim that he was the seer now. and one of the other active wolf is Skywalker and Wolverine. I don't believe you, I called for seer multiple times yest, saying 2 active checks would be good. I told during the Day 2. Don't force me to come out. I would come out when I felt it's necessary. one of them (Skywalker and Wolverine) is the Lycan. That's bad because we lost Sackboy. He would give the good answer for this. And after Magneto die (or even I die), he can check who say the truth today. 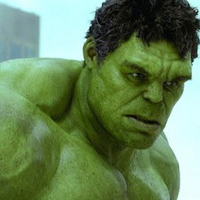 Hulk even insisted to die yesterday. Do u think the wolf would be as crazy as him? He was not defending himself for this. Yes. We told that the one who didn't contribute the game, would be considered as the dead people. I think so. Why should you guys (not you, aeris, sabretooth, wolverine, etc.) bother to sign up? Then you didn't come to the game. and the thing I did not defend Hulk, it also means Hulk and I are not the wolves. you can think that I want to eliminate him. It's up to you. However, it would be risky if I were the wolf, and I let other wolf die. Don't you think that? Agrrrrrr..... He could be the lycannnnnn. that's why I need one more day. and today, he showed up that claimed that he was the seer. From this point, I'm so sure that he is the wolf. That explains why I didn't guide u guys on him yesterday. ok guys. all of us are already logged except one person Ned. so anyone think the same to me, firstly, at least 1(in 2) wolf is talking here . Secondly, no one voted for Ned because we're all think that he is not playing anymore. But i think Ned is the second wolf because he just pretending not to play anymore so we wont think abt his role, the other wolf just have to make us confused and doubt on each other. i put my vote on Ned . 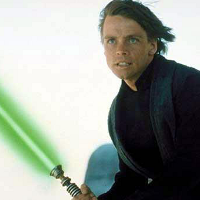 Skywalker had multiple chances to log on to Werewolv.es but he never talked about his role. If he was someone important he would have said something for sure at this point. He might be a wolf. Everything Hulk says is weird. Magneto just accused him of being a wolf but Hulk turns our attention to Ned? If Vader was baiting Magneto to come out as a seer, it makes sense to wait until Day 4. If Vader telling the truth > Hulk is villager and Magneto is the wolf. So wolf nominees are: Hulk, Vader, Skywalker, Me, and Magneto. From my POV I am out of the picture cuz I am a villager. One thing coming out of this is that Sabretooth is not a wolf for sure. Hey man type everything you can think of here, Aeris I hope the night will fall at the right time because my class is over at 7:30 Greenwich time. Aeris, can I ask u something? If I showed up first, and I said I'm the seer, Would you believe me more than Magneto? he insisted to die yesterday. Do u think it should be the thing that the wolf should do? Magneto told he checked twice during Day 2 and 3, and turned out 2 wolves. I must got a bad luck, I checked 3 times and got 1 wolf, 2 villagers. Yes, I doubted you yesterday. However I checked you last night, you are 100% a villager. No matter who die tonight. Everything is revealed. Actually Magneto is likely the wolf. He said he did not check day 3's chatlog but he actually checked Hulk's identity during that night. "I'll post once I've finished reading. I've read days one and two, but not three yet." "I checked Vader during night 2 and Hulk during night 3. They both showed up as werewolves." Vader, same thing. He expressed how he is a seer in the weirdest way possible. I know that but still, you saw what I wrote above right? Well look at it this way, he is pretty bloodthirsty. All the votes were on Hulk not Vader. Vader could have just said he is a Lycan instead of a Seer. "I have reasons to believe that seer in the game"
There are 4 minutes left. I'm gonna off now. If you trust me, aeris wolverine, you are now putting an innocent villager on the death sentence. Hulk was lynched by the village. I’d like to reply to the people who made comments about me during the previous day, since wasn’t able to do so then. Vader – Hulk’s insistence to die yesterday has me puzzled as well. By the way, I must admit you made some good points against me, though I can’t believe you. With the knowledge that either Vader or Hulk (or both) is definitely a real werewolf, I wanted some time to read day 3 again and pay extra attention to their words and actions. I wanted to talk to Aeris afterwards, so I decided to give an explanation as to what I was doing, to make sure s/he didn’t leave while I was reading. However, I wasn’t at that point sure whether I should reveal myself or not, and saying that I wanted to read through day 3 again because now I had better evidence on who is a werewolf would give myself away. So I just said what I did, to leave myself a free route if I decided to keep quiet about my knowledge for another day. There, I think that’s most things answered. I suggest we lynch Vader today, that way, if they really are both wolves, the village will win. 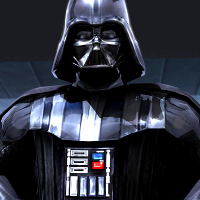 Vader, in my opinion, is definitely a wolf, since he claims to be a seer, but Hulk may have been a Lycan, and in that case the game will continue. If that does happen, I’d prefer you let me live to help you find out who the last wolf is, though you can of course lynch me if you decide that’s what you want to though. Although I’ll probably fall victim to the werewolves soon anyway, since the protector can’t protect the same person two nights in a row. Right, I’m finished, anyone out there wishing to comment/question? Oh my, I almost forgot about that! ...why would you not lead with that? By the way, how much time is it until voting starts? I missed it previous days, and I can't find mention of it anywhere on the site, except for the 'soon you will get a chance to lynch them' moderator comment. Ah, so in about half an hour. In that case, I'll do homework 'till then. Bye! Skywalker or Vader? =P ......... Although it's not actually a question for me - I don't know whether Skywalker or Hulk is the Lycan, but Vader claiming to be the seer puts him in the werewolf category for sure to me. Oh, I get what you mean. I felt triumph over finding two werewolves, and impatience to finally reply to everyone (it's really annoying when I can't talk for most of what is day to me), so my mind wasn't really on the third check - I wasn't actually expecting to find a werewolf. And I'd written up my replies to everyone beforehand, so the first thing I did was copy paste and send all the paragraphs (I decided to do it in multiple chunks, since that makes things easier to read) and after that I was eager to hear back from everyone, so I didn't think about the check. The fact that the check result gets written at the end of the night rather than the start of the day doesn't help either. I understand why you're suspicious of me though, so feel free to convince the village to lynch me first if that's what you think is best. Vader, who did you check? I think I've come up with a clearer wording to explain what I meant: I was excited for chatting with other people, and for whether the game would end once both Hulk and Vader get eliminated. These two things were foremost in my mind, while the check was more of an afterthought - the opportunity shouldn't be wasted, but I didn't expect success. ....... So first I took care of replying, and after that I was interested in what people would say, forgetting that I had check results to see. From what I remember of previous days, Vader tends to show up much later in the day. Wolverine, who would you lynch that isn't Vader or magneto? The wolves+lycan are, according to me: Hulk, Vader and Skywalker, and according to Vader: Magneto, Skywalker and Wolverine. So speaking from an unbiased position, Skywalker is suspected by both of us, so should go first. when did Vader accuse Wolverine? Day four "In conclusion, I concluded that there are 3 wolves (icluding Lycan, I'm sorry if one of them is Lycan, that's unfortunate) and they are : Magneto, Skywalker and Wolverine"
What do you mean when you say that you and Aeris got into a fight? oh you don't really know? And what has this got to do with me being seer? How should I know? I checked Hulk, then Vader, then Skywalker. I didn't check Wolverine. First of all, keep in mind this is my first game, and my ability (or lack thereof) to play it well doesn't have any connection with the role I've been given. Secondly, I still don't see how day one tells me who Wolverine is. I don't plan to check anyone. There's no point. I can't check for special roles, I can only check villager vs werewolf. I have found 3 people who showed up as werewolves. There are 2 werewolves and 1 lycan in this game. Therefore, anybody else I check is guaranteed to show up as villager. Also, may I ask you something? When you said "if you're a seer you could have seen that i myself and aeris got into a fight"
No, I mean about there being enough time? Also, may I point out, about it being suspicious I found a werewolf each time I used my ability, I was only seeing based on what people said in chat. Day two, at the start Aeris mentioned blaming Vader. I didn't really understand why they said that, but I'm a newbie and Aeris seemed trustworthy, so I decided I'd check Vader. Then, day three, Hulk acted suspicious, (and a bit annoying) so I checked him. Day four, I wasn't sure whether Wolverine, Skywalker or Sabretooth were more suspicious, so I just decided to randomly choose one. I know three wolves in three guesses may sound unlikely, but it isn't as improbable as you seem to think it is - I wasn't randomly selecting people, I was making assumptions based on conversations. You know, I'm not sure what I can do to convince you. Could you tell me what exactly it is that makes you trust Vader over me? Aeris, are you still here? What do you think? What makes me seem suspicious? More suspicious than Vader I mean? I gathered that, but why? Is forgetting to have a look at a check after you already think you have both wolves really that bad? What exactly is it that made you trust me less today? Also you mentioned earlier that you think we have enough time for the villagers to win even if we trust the wrong seer. Could you explain how you work that out? Should I switch my vote to Skywalker? Since it seems I won't convince you to vote for Vader. Because, if the village is in agreement, the chances of someone switching votes at the last minute and changing who is lynched are far less. And if we lynch Skywalker today, then you'll have the night five hunting to further decide which of us to trust. Damn he is late, who knows what is happening to him IRL. I want to hear from him. Although I agree, I'm curious to hear what he says as well. By inactive today do you mean absent from the 'active during the last day' list, or just not making any comments? Oh, I've just remembered. Sabretooth, didn't you say that after 30 minutes you'd tell me why you trust Vader more? Because I'd really like to know. Vader: " As I told you guy about Day 3, I told that the seer just have a few checks to finish his job. And during Day 3, I doubted Sabretooth. Then I checked him at the night. He is a villager. " Vader said he Checked magneto on 1st day and he found wolf right? "but Magneto are actived 2 consecutive days, so the seer may want to check him last. Thus, there are 3 left to check"
but that is a great find! oh you think Skywalker is lycan? Vader said a couple of times "either Skywalker or Wolverine, but I think one of them is a lycan"
since we got skywalker and "2 seers "
I'm going to answer you guys one by one. First thing I need to clarify when I said "the seer may want to check him (magneto) last, since he didn't active Day 1"
Second, about what Aeris said, she protected herself yesterday. Can you think about this for me please? No-one dies today. There will be 2 theories abt this. 1> the wolf picked her to kill; 2> the wolf forgot to kill. Obviously, I eliminated the second. 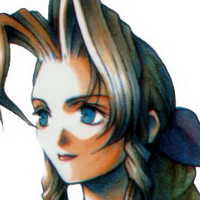 BUT, what if Aeris died today? Who is the most suspicious player? Me, right? It's the most obvious thing that everybody can think if Aeris died today. Did u REALLY think I would do this stupid move by killing Aeris today? Then, the last one to say. There will be 5 players today (including Ned-inactive). So there will be 4 players indeed. So I suggest if it's not convincing enough for you guys. Pick skywalker today. From the point of Magneto's view, there will be only me left. You guys can outnumber me tomorrow easily. From my point of view (what I concluded abt the wolves), Magneto is the REAL wolf. Skywalker has 90% of the wolf. 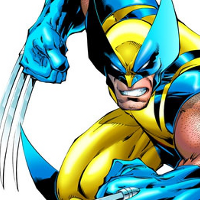 And Wolverine, I'm 80% believed that he is the lycan. from this, we still can outnumber the wolves tomorrow. Vader was lynched by the village. Oh, I guess Hulk was the lycan then. It would explain his encouraging us to lynch him - he saw himself as a normal villager. Who was the other wolf? Well look at it this way. Both "seers" looked at you and says: "Skywalker is a wolf"
How do you know they're seers? No, one of them is liar obviously. Who are these two seers btw? If Magneto is the truth teller you are also the wolf. Im not the wolf. I just have to prove it. Is the gravedigger still alive? Regardless of which one is the true Seer: I am not a wolf, Aeris is not a wolf, and Sabretooth is not a wolf. Well game won't be won if it is Magneto and Ned being the wolves. That would be crazy.